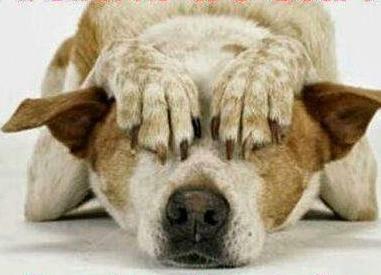 Fireworks Are Not Your Pet's Idea Of A Good Time! Than Any Other Day Of The Year? Like many Americans, you may be planning to have a festive Fourth of July. Along with pool parties and barbecues, no July holiday celebration would be complete without enjoying the fireworks that celebrate the birth of our nation. However, unlike people, pets don't associate the noise, flashes, and burning smell of pyrotechnics with celebrations and often panic at the loud whizzes and bangs they produce. More pet's go missing this time of year than any other as they frantically run in fear to escape the commotion and chaos that these festivities bring. Here are some helpful tips to keep your pet happy, healthy, and safe this 4th of July. -> Going to a parade or fireworks display? Keep your pet at home. -> NEVER use fireworks or sparklers around your pet. -> Keep your pet away from glow jewelry. The chemicals inside can be harmful to your pet. -> During a house party, know your pet's whereabouts at all times. do a head count every hour. -> Lighter fluid and matches are poisonous. ->Citronella insect control products can harm your pet. In case your pet manages to get loose during the holiday festivities, please make sure you have your pet properly identified with a name tag and microchip. You will also want to have a current photo of your pet if you need to make lost pet flyers. Have a clear body and face shot somewhere that you can access quickly. create an atmosphere that keeps EVERYONE, including your pet, safe. When a human family member dies, our society dictates that we have a funeral or memorial service to recognize the impact the passing has on all who are left behind. However, when a pet dies, there is no such service. 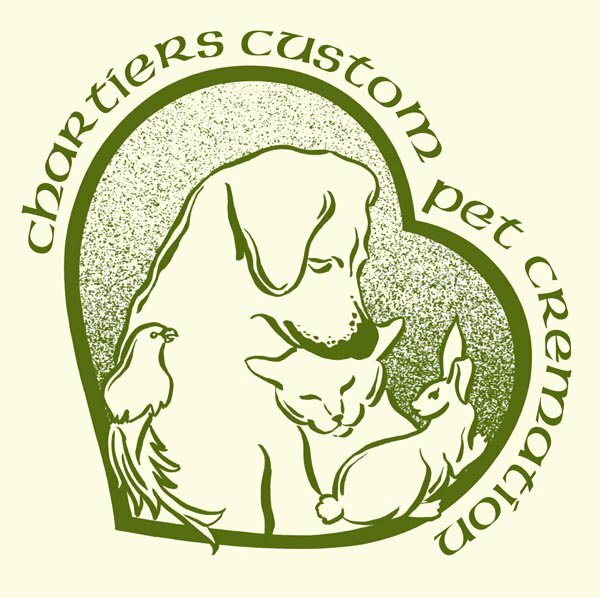 In order to fill this void, Chartiers Custom Pet Cremation annually holds an event that in many ways offers this type of recognition. Gathering under the trees during the second Sunday of September, Chartiers Custom Pet Cremation sponsors a very unique and lovely Pet Memorial Service for you and your family to commemorate the loving bond you had with your pet. Speakers present information about the grieving process and tributes are read that paint a loving picture of the pets who have passed. 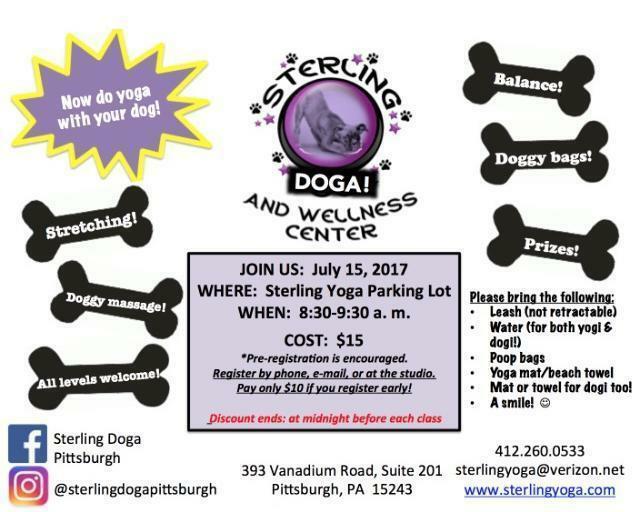 Sponsoring this one-of-a-kind event for families is another attribute that makes Chartiers Custom Pet Cremation special. Evoking a watchfulness that may characterize your pet, this majestic eagle urn can be used as either a stand alone urn or as a graceful addition to a plain wooden urn. 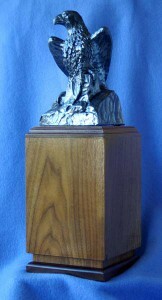 Made of brass in a silvertone finish, it stands approximately 6 ½” tall and would accommodate the cremains of a pet weighting 25 pounds or less. Combined with a wood urn as a base, it could be used to honor the passing of any sized pet.